The message for today this addresses some strange but true realities. It is possible for a man to be working very hard for God and heaven does not recognizes this works; possible for people to see you as honesty, kind and righteous person without blemish but God sees the opposite; possible to be performing miracles when the lord is no longer happy with you; it is possible for person to be worker in the vineyard, a prayer warrior, leader, preacher, pastor or even a general overseer and minister powerfully but the lord has departed from you. It is possible for you to bee endowed with the power of God and still has unending problems bombarding your life. The reason for this might be; Your Garment!!! v He was a high priest but still, Satan stood there to challenge him. v Joshua was in the presence of the lord yet Satan was there to resist him, the priest of the most high God. There was a reason why this was possible: Joshua was putting on a filthy garment. The Bible said in 1st Peter 2:9, we the children of God are Peculiar people and a royal priesthood. This means that this message of today its applicable to you and I; we all as Christians are priest of the living God. Joshua was a big man; the Old Testament specially gives very high preference to the position of the high priest. ü The high priest its specially ordained by God by himself. ü The high priest performs the special offerings to the lord. ü The high priest is empowered to carry all sins of people to the lord at the holies of holies, to do atonement. So you will agree that the position of the high priest is a big one therefore, Joshua the high priest was a big person. By virtue of how big Joshua was, this did not stop the devil from intimidate him. This is because there was filthiness in the life of Joshua; He was wearing a Garment on sin. Some people are where they are today because of indiscipline. They don't like discipline and when there is No discipline, there is no progress. Some do not read until their exams are close by. Many people do a lot of right things, such as; go to church, read Bible, being kind, benevolent and so on. But same person do gossips; the Bibles declares that if you are guilty in one, then you are guilty in all. Even If you are a worker in the church, bishop, pastor it its possible for you to continue the work of God and you wearing a filthy garment. It is very paramount for you to take a corrective action before it becomes obvious for all people to see. When you're filthy garment is exposed in the public, it now becomes a thing of shame, all because you did not identify and address it. Some think they are clever; you can never be more clever than the devil. There is nothing like sudden death, things don't just happening. You don't fall into Fornication in a day; this is always the seed that you refuse to deal with. It is very important that you make correction today. There is a big deference between how you look and how God sees you. Joshua was burning incense with sweet smelling aroma but heaven was perceiving a dirty angel as a result of the filthiness in his life. Lay aside that garment that its stained with sin and be washed in the blood of the lamb. Dirty Garment is what brings in opposition. Opposition will hinder your progress in life. Samson had just come out of the harlot house and he still had the power and grace to fight the philistine. That Samson has deviated from God to start visiting harlot does not mean that God will stop using him automatically. I decree into your life; Any garment upon your spirit man that is attracting opposition, catch fire in the name of Jesus. Your garment says a lot about you. God is concerned about what you wear inside of you. Every man on earth is wearing a garment. God sees us by our spiritual garment. The high priest ferment is a representation of how you are inside. There are different types of garment; they distinguish and identify the kind of person that you are. There are clothes of pride, liberal clothes, seductive clothes and the likes. Let it be known that there are Satanic designers; the clothes they design have a purpose; they are all for sexual appeals. This garments exposes the body, seduces people. Garments such as tight clothes, highly silted clothes, and cleavage exposing clothes, all communicate a message; there is a problem in you; that you are spiritually sick. Although, people around you may appreciate you; they may qualify your dressing with several good names, like gorgeous, beautiful but heaven sees the person as sick. A queen can never be arrayed in a clothing of a harlot and be allowed to sit on the throne vice versa. Prov 7:10 talks about the Royal apparel. Until the satanic garment covering a man is removed, total deliverance is impossible. They invisible garment that man cannot see, God can see, Satan can also see and it could give the enemy a chance to hinder the progress of man. All garments communicates a message. They says who you are. v A lady with exposed breast can NEVER be mistaken as a priest. v A man with a Collar on neck can NEVER be mistaken as a soldier. 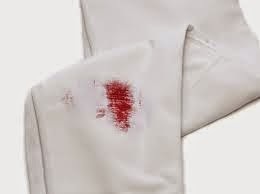 Dirty garment brings Spiritual filthiness; filthiness invites death; Spiritual death causes decay and invites maggots. You need to ponder on this message; is if possible get the CD and cry to God to take of your spiritual garment and dry-clean them so that your life may receive divine transformation and you will be able to possess your possession. 1. Garments of darkness in my spirit man! Catch fire; die in the name of Jesus. 2. Garment of failure! Die in the name of Jesus. 3. Garments of Reproach! Die in the name of Jesus. 4. Garments dressing problems into my life! Die in the name of Jesus. 5. Garments of Glory come upon my life in the name of Jesus.